Scott Cockrum is a partner in the Schererville and Indianapolis offices of Lewis Brisbois and is a member of the General Liability Practice. Mr. Cockrum joined Lewis Brisbois in January 2019 as a partner. 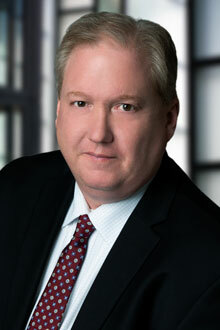 He previously practiced at a Chicago-based national law firm since April 2003, and as a partner since 2006. He served for five years as an adjunct professor in the Paralegal Program at Calumet College of St. Joseph in Whiting, Indiana. Mr. Cockrum has extensive and varied litigation experience. He is frequently before Indiana state and federal courts in a variety of cases, handling declaratory judgment, bad faith, UIM, and breach of contract claims and other actions for insurers. He further represents defendants in a variety of litigation matters, including health care providers in medical malpractice cases. He has handled multiple bench trials for the Indiana Patient's Compensation Fund in petitions for excess damages under Indiana's Medical Malpractice Act, and has handled over 50 appeals before Indiana's appellate courts, including oral arguments in several matters. Mr. Cockrum lives in Munster, Indiana with his wife and four daughters. Chair of Rules Committee for the Defense Trial Counsel of Indiana.